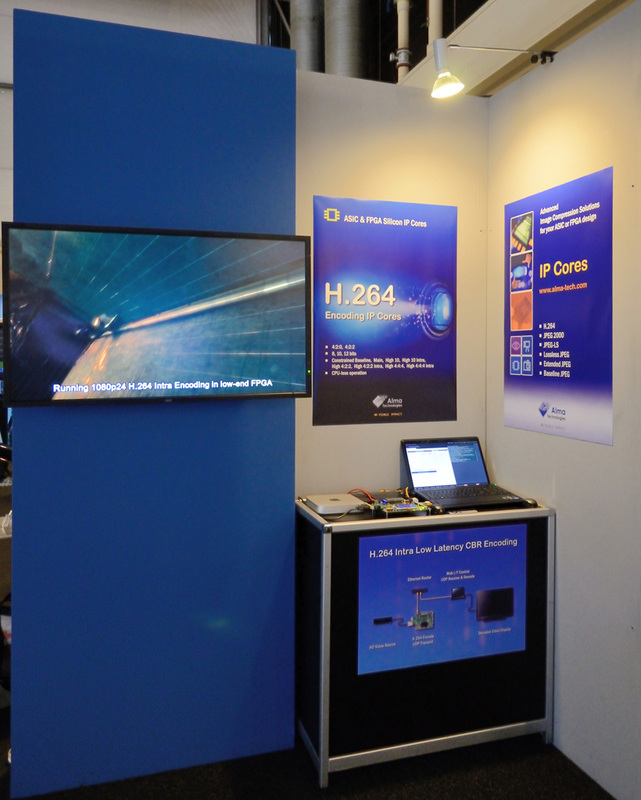 Athens, Greece, September 21, 2012 − Alma Technologies exhibited at IBC2012, which took place in Amsterdam, The Netherlands, between 6 − 11 September 2012. 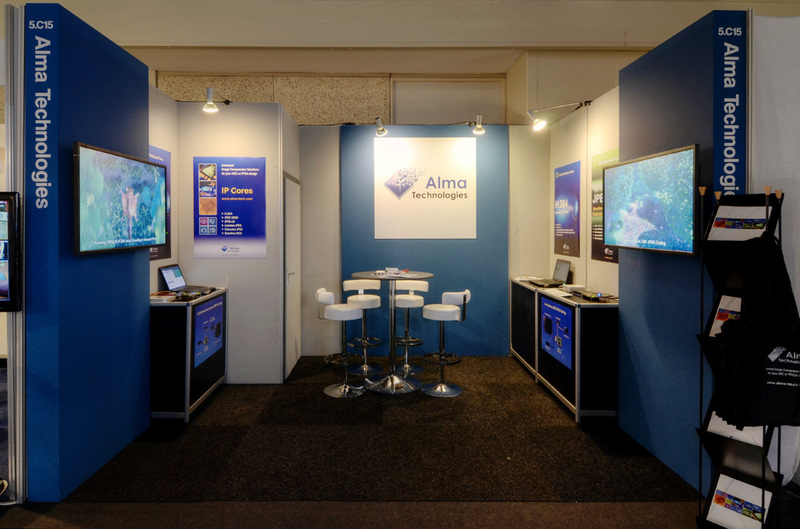 During the exhibition, Alma Technologies ran live demonstrations of low latency, constant bitrate, Full HD video encoding using its H.264 and JPEG compression IP Cores. 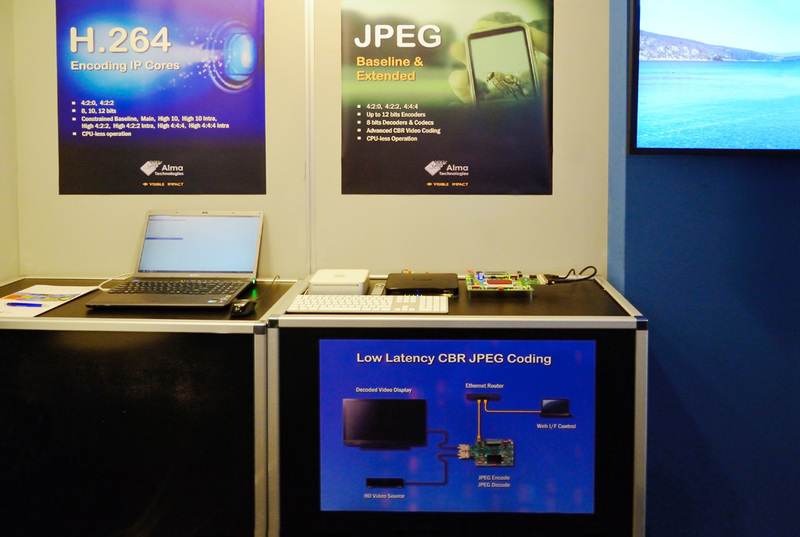 The encoding systems were based on low-end Altera Cyclone III FPGA development kit boards, powered by the latest High Profile H.264 Encoder and the recently enhanced - by an extremely efficient CBR rate control subsystem - (M)JPEG IP Cores. Apart from showcasing the capabilities of our new High Profile H.264 encoding products and our advanced rate control in motion JPEG compression, we had the great opportunity to get valuable feedback on the future broadcasting application requirements; a vital ingredient for us to keep providing advanced, high quality and easy to integrate solutions. We would like to thank you all for stopping by our stand. Your interest inspires us to our work. We look forward to seeing you all again next year.